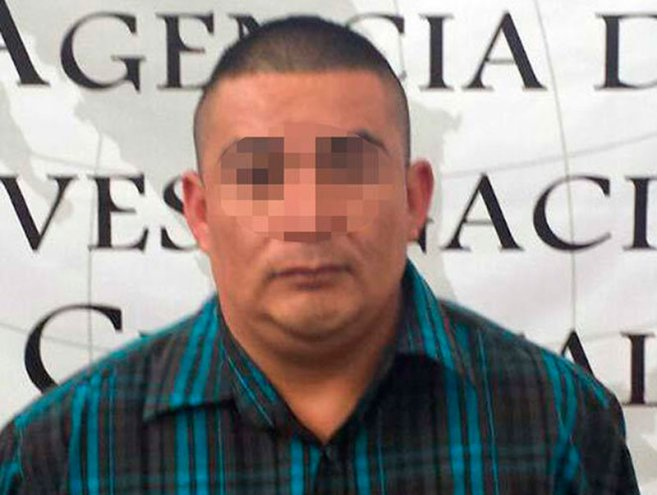 Arturo Diaz Diaz, alleged financial operator of the Cartel headed by Joaquin "El Chapo" Guzman, was detained in the capital, under an arrest warrant with end of extradition. 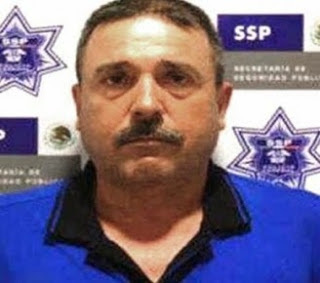 Diaz Diaz cooperated with the PGR, he was responsible for the financial activity of a cell of the Sinaloa Cartel headed by Adelmo Niebla Gonzalez, "El Senor" or "El G3", who in May of 2014 escaped from Culiacan Prison also utilizing a tunnel. (see link to article on the escape translated by Siskiyou Kid from BB Forum and posted by Chivis). A communication detailed that elements of the AIC, the Agency for Criminal Investigation, they contacted Interpol Mexico, who gave an enforcement order issued by the Tenth Judge of the Fourth District of Federal Criminal Processes with base in Federal District, in July of 2013. According to Authorities, Diaz Diaz is required by a Federal District Court in Arizona, United States, where he will face charges for the crimes against public health. After his detention, which was carried out without a shot being fired, Diaz Diaz was transferred to Cefereso No.13 in Oaxaca State. This is what they do to make it seem like they are going after El Chapo's money. They arrest 'financial operators'. The real financial operators are major banks and businesses such as santa monica milk producer owned by El Mayo. Don't forget the stock markets & world wide banks. --Rafael caro quintero is also the owner of lots of businesses and countless billions of dollars in swiss banks, a d the CIA or the DEA or the DFS have never tried to get their hands on them, because they only took their 10% religiously, like God commands, the poor only have to give 10%, you know? Yeah, Santa Monica milk company is a perfect example. It's actually even been named as a cartel business by the USA and the Mexican government doesn't seem to have launched an investigation. The 3 billion a year estimate is low. That is just from chicago alone. I imagine the number is over $10 billion and then they make money by investing it. These guys have unlimited funds and for some reason the mexican government only manages to find a few million every few months. Sounds like BB needs to do an article about known Narco businesses that the Mexican government turns a blind eye to. I'll bet a few weeks later CNN will pick it up as their own. LEGALIZE :-) Mexico’s Supreme Court next Wednesday will vote on a case that many think could set a precedent for widespread marijuana legalization in the country. But strangely enough, the forces behind Mexico’s weed-legalization efforts have little do with the greater criticism of a drug war that has claimed tens of thousands of lives over the past decade. Zhen-li ye gone, $250 000 000.00 usd in his own house!!! Yea--- the Asian dude made $kapillions in a few short years from importing chemical precursors. "Here today, gone tomorrow." He got busted because he cooked his books. His accountant gave him up. Don't recall el chino's name, but did see a vid of his house. Unreal opulence. Did he skip off to Asia? I think he's actually in a us prison or at least out on bail. They found him in Virginia or something. He gambled over $100 million in a year I think the Venetian Las Vegas gave him a Rolls Royce. I'm a global citizen! My family lives on separate continents, in 4 countries, we're multi-culturalized, cuss like sailors in more than one language at once, etc, etc. And, for my last bit of trivia.. Hunter S. Thompson immortalized the Sinaloans, (well, just one, in particular), in his book FEAR AND LOATHING IN LAS VEGAS. Snitchedy-do-dah, Snitchedy-day, follow that money trail all the way to Chapo! Yeah. Like that's gonna happen.... No matter, it's breaking news and a very interesting development, considering all the things going on related to Chapo, these days. Be quiet! Although I think it's all a show by the government. This is very relevant. Appreciation goes to all the work from those at BB! i dont think there should ever existe no such thing as a necessary evil, in life. Unfortunately it does exist, ugly as it is itserves a purpose." The lesser of two evils"
This guy is only one of many financial operators of El Chapo. The man problably has 20+ dudes doing the same thing as this guy for Chapo. El de la second picture tiene Cara de Verga Lavada like saying "yo no fui"
Dear BB: I ain't even using profanity can you please post and translate my very humble point of view...? 8:28 mann, te la metieron, tu comment. Has Anyone Ever gotten any BIG MONEY out of Dea? 5 million??? Does anyone know someone who knows someone who Maybe got even a 100k for info? Or is it all Lies? Or..do I keep my day job? I am not dea but if you tell me where i can find chapo and the meeting between him and i goes well, i will give you the 5 million myself.hahaha. Another escape from prison using a tunnel? Tunnels have existed for centuries... And those mf'rs still "don't realize" that criminals can use them to their advantage? Is that adelmo niebla gonzalez related to el m grande or waht? .... Seems like all of this chappo this chappo that is all bullshet. Trying to make it look like they are hitting el chapps criminal network hard, all created by themselves along with the mx-governin mierdo cracia. How about that. 10:09 no güey, soy el Sargento Enquetesientas. Ok why is that pos face blurred out? All of a sudden he has civil rights? What about the people he killed? Did they have that same right?? Head of prisons in DF 2008 to 2012? That's right, Celina Oseguera Parra, El Chapo's escape chief, appointed by Osorio Chong. Among the Dutch bank’s 119 branches in California, the tiny outpost along Mexico’s border needed weekly armored truck visits -- sometimes more than one -- to haul away all the U.S. dollars being deposited. The deluge, described by a person familiar with the bank’s operations who said it picked up after 2010, came from businesses just across the border in Mexicali. While other Rabobank branches needed currency to distribute to customers, Calexico was shipping it out. A half-dozen U.S. enforcers and regulators are circling Rabobank, a cooperative based in Utrecht that promotes itself as one of Europe’s cleanest and safest banks. Until snared in an industry-wide interest rate-rigging scandal two years ago, the bank had not had a criminal enforcement action or a significant regulatory failing, federal prosecutors said in that case. Criminal action related to the anti-money laundering probe would be double trouble for Rabobank, which is still bound by its 2013 deal over the manipulation of benchmark interest rates. The deferred prosecution agreement, set to expire Oct. 29, allows Rabobank to escape criminal charges if it avoids further legal trouble in the U.S.
Why is this motherfuckers face blurred out? This is so f'cking wrong! "Criminal action related to the anti-money laundering probe would be double trouble for Rabobank, which is still bound by its 2013 deal over the manipulation of benchmark interest rates. The deferred prosecution agreement, set to expire Oct. 29, allows Rabobank to escape criminal charges if it avoids further legal trouble in the U.S." Can we, Please, Please, LEGALIZE?! :-) Seriously. FACK ROBOBANK, BANORTE WANTS ITS BUSINESS, will happily acquire all the assets for 10% of the value and pay depositors and shareholders 1%of their loses.